I stayed at the Palm Garden Lodge in Siem Reap, Cambodia. I booked online for the rate of $7.36 USD per night and I selected it for its price and location. 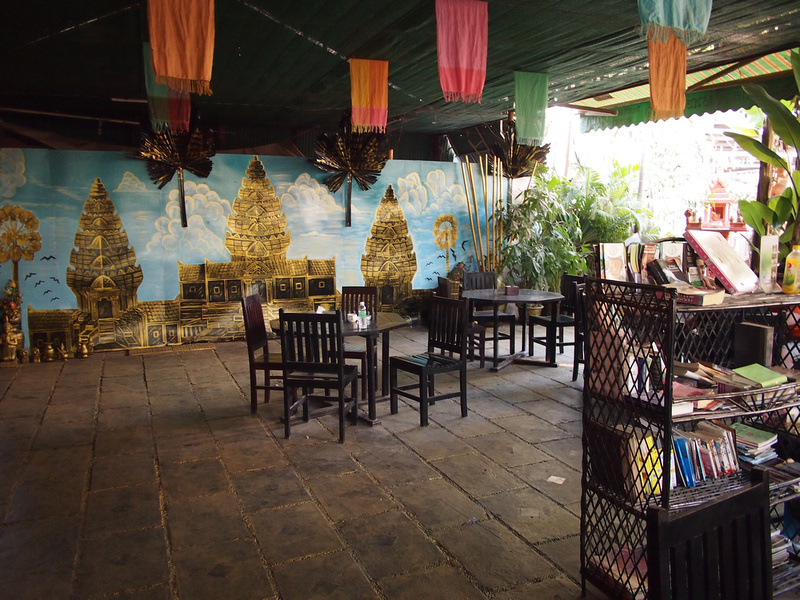 The guesthouse is about ten minutes walk from Pub Street, which is the most lively area for travellers to congregate. When you arrive you will see that there is indeed a palm garden in front of the guesthouse, with a large outdoor common area. I booked a private single room but I was placed in a 4-bed dorm, which was allocated for me. I’m not sure if this was because they ran out of single rooms or if it was a normal procedure. I didn’t mind, as long as I had a private room. 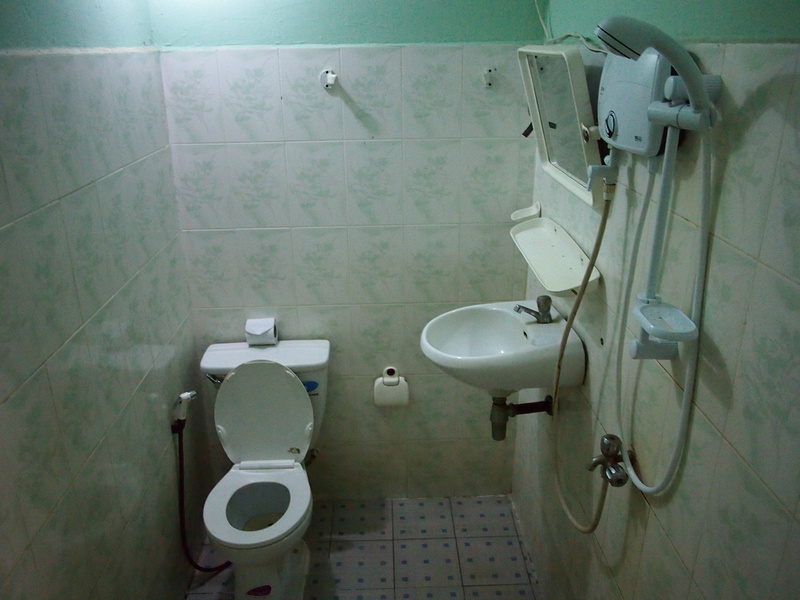 The bathroom looked clean and orderly upon initial inspection, but I realised once I had a shower that the water pipes were rusty. I giveaway sign of this is when you see rusty-red stains on the floor under the taps. I could feel the rust in the water as I showered so I got in and out as soon as possible. There was hot water at least. There was no rust in the sink but I didn’t risk it and used bottled water to clean my teeth. 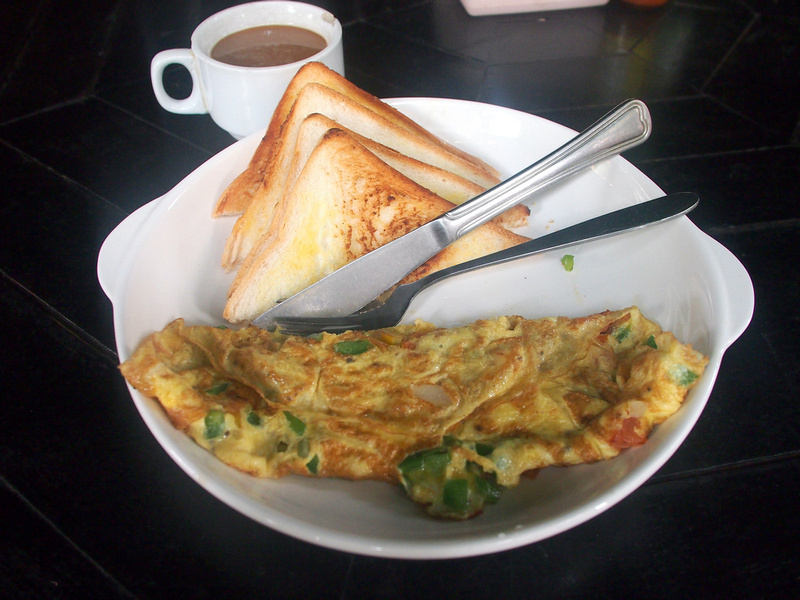 Breakfast was included with the room, which consisted of an omelette, toast, and instant coffee. If you are going for sunrise at Angkor Wat then you will miss this breakfast service. The wifi was good throughout the property, with no problem in getting a signal in my room. Overall this was an ok guesthouse and about what you would expect for the price, but the rusty shower let down my stay. Book the Palm Garden Lodge online, or search for more hotels in Siem Reap.